India is considered as one of the premier rice exporters all over the world. In 2012, it also surpassed Thailand being the top rice exporter. It also shipped ten point three millions tons of rice than the seven million tons of rice of Thailand. Even according to the Agriculture organization, India could already export eight point three tons of rice that makes it the number one leading rice exporter for 2 years along with Thailand and Vietnam. Here you will learn more about the list of companies in India that export different types of rice like Pusa Basmati Rice, Basmati Rice, Non Basmati Rice, 1121 Basmati Rice, Polished Rice, Parboiled Rice, Medium Grain Rice, Non-Basmati Parboiled Rice, Short Grain Rice, White Rice, Brown Rice and More. Times AGRO Corporation- This is one of the reputed companies in India that sells rice and all other crops like soya, dry toor dal, sugar, refined sugar, large udad dal, basmati rice, white rice 10% broken, lokwan wheat non pesticide, sugar M 30 and more. Kesharinandan Agro Services- This is another reputed company that is located in Maharashtra India. Apart from the rice that it usually offers, other food crops offered include mango pulp, fresh papaya, fresh fruits, fresh vegetables, fresh lemon and a whole lot more. Bardhaman Agro Products Private Limited- This is founded in bringing out quality varieties of rice that could meet the guaranteed satisfaction of all people here and abroad. The rice varieties include gobindo bhog rice, basmati rice, samba rice biryani, and a whole lot more. Nirmala Mini Rice Mill- This is trusted as a manufacturer, trader and supplier of rice. Among other rice varieties offered include steamed rice, broken rice, Swarna Masoori, Swarna Masoori Chura, Swarna Masoori Broken Rice, Polished Rice and Swarna Masoori Boiled Rice. 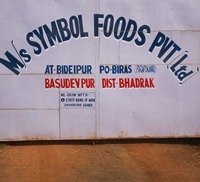 Krbl Ltd.- The company is reputed in the industry due to its many rice varieties offered. Among those rice varieties include basmati rice, long grain basmati rice, Indian basmati rice, pusa white basmati rice, raw basmati rice, all types of basmati rice, one-hundred percent basmati rice, parboiled rice and more. Now, you already have learned a few of the trusted companies to offer you different rice varieties! We also produce and export rice, you can contact us using our contact us page or view our products here.